Hit the ground running… we make fundraising simple, fun and profitable! One of the greatest assets we offer our clients is the ability to duplicate our themed events. This allows our clients the ability to lower their overhead and increase revenue with each event, leaving more funds for the charities they support. You’ll realize thousands of dollars in savings by working together. Our success is dependent on your success. We save you money by charging a flat fee per participant. Our event models have proven to be extremely successful for our organizations. Income sources include donations, registration fees, sponsorships. But you are not limited to that! Add on a silent auction, raffles and/or food sales to make this a multi-channel event with the potential for very high profits and very little risk. Incorporate a festival with your event. Have food, bounce house, DJ! Make it fun! Our events are typically a 5K distance (adults and older children) . Many clients include a 1K course (best for younger children). The events are easy to set up and take down. Whether your invision a blockbuster event or a small community affair, this is your event. You are free to charge any amount for registration fees and run your sponsorships and promote your event as you see fit, and we are here to help. We create the following forms and deliver these to you electronically. ~ Our user-friendly system has been proven to raise more money than traditional mailed requests. We set up the system for you and will provide a link to your unique event site. It is so easy to use you will never go back to direct mail again. ~ We set up a customized event ticket system for you at no additional cost! Your participants use the system to register for your event, then they can make online donations. All processing fees are covered by the participants, so ALL funds brought in will be sent directly to you after your event. Gather your team and start your event planning. Assign key roles to individuals. Then announce your event to everyone. This helps everyone get excited and on board with the event process. Your meeting is the perfect opportunity to distribute flyers, registration forms and online pledge system instructions. Your online pledge drive is the one of the important keys to your entire fundraising effort. This system is so easy to use and enables you to easily keep track of your entire fundraising effort in real time. With a minimum goal of 10 pledge requests per family and an average $10 donation that is already $100 per family! Multiply that by 100 participants you could raise $10,000.00! Assign a person who can dedicate themselves to soliciting sponsors. We will provide all the tools needed, you just need a dedicated person who is driven to make it work. Promote! Promote! Promote! Use your customized flyers to get the word out about your event. Use social media, emails, lawn signs, newsletters, your local running store/group. We will send you detailed tips on how to effectively promote your event. How much money can we expect to raise? What types of organizations participate in 5Kevents? We work with anyone who wants to fund-raise. Schools, companies, sports teams, cub scouts, girl scouts, cheer squads and any group that wants to raise money and has a great time doing it. What is the upfront cost? Once you submit your Discovery Form, we will call you to discuss your goals. If we both feel this would be a good partnership, we will send you an invoice for the deposit, which will be credited towards your final bill. We will be investing a lot of time and resources to get your event up and running, and this helps us ensure that our resources are being used efficiently. The deposit is $250. Do I have to charge a certain registration price for the event? The average registration price is $35. You can charge any amount you like: $20, $25, $30 and even $40. The money raised is going towards a good cause, so many clients have charged more for their events. You may also charge one price for organization members, another for non-members, group rate and/or any other discounts you want to add to your registration form. There are no requirements for how long your course should be, but the typical distance is a 5K (3.1 Miles). Many organizations will add a 1K or 10K. How much lead time do we need to plan for our event, why is that? We’ve built our program around a 3 month lead time because our experience shows that this is the optimal time to complete all the steps in our program and promote your run. You can do it in a shorter time if needed, but longer is preferred. I’ve never planned an event before, will I be able to pull this off? Yes! Remember, we partner with you throughout the process. You will benefit from our years of event planning and fundraising experience. Should we use city streets or a trail for our event? For safety reasons and logistics we highly encourage the use of bike or hiking trails. Some clients do have their events on city streets. Please be aware that this process can add to your planning time and affect your bottom line. Typically, there are permits to be obtained, approvals, additional insurance, and added expenses for police details and/or road closures. Can we get companies and/or local businesses to sponsor our event? Yes, and 100% of sponsorship revenue belongs to you less any costs you may be obligated to. We want to help you to bring in as much fundraising revenue as possible. Some clients have a festival around the event and provide an opportunity for sponsors/vendors to be present on site in exchange for their sponsorship. Keep in mind, unless you are doing a cash sponsorship, all sponsorship levels typically have a cost associated with them, For example, you may need to purchase signage, banners, swag or other items associated with the sponsorship level being offered. Should I open this event up to the community? Yes, you can make the event available to the entire community, and many of our clients do this to increase participation and fundraising levels. Is there a minimum number of participants for this event? What supplies are included for each participant? Each participant in your event will receive a minimum of an Event T-shirt, Custom Race Bib, and Finisher’s Medal. Our event models may be subject to additional items depending on the theme selected. You may also opt to order additional supplies for late registrants. Does anyone from 5Kevents.org come to our event to help with the event? Our program is designed to be run remotely so we will not be making an appearance at your event unless we are hired to provide timing services. We provide support via phone, email, and text, throughout the entire process. All materials arrive via UPS or USPS. We do offer Timing Services and we will be on-site for consulting purposes if requested. What is the 5Kevents.org Online Registration System? We will set up an online registration page for your event providing a convenient way for your participants to register. There is a nominal fee for this service which can be passed along to the participant. Participants registering using the Online System will be given the opportunity to share a link on their Facebook page, advertising your event. What is the 5Kevents.org Online Pledge System? The 5Kevents Online Pledge System is a user-friendly online fundraising platform that makes it fun and easy to ask family and friends for donations. Each family of your organization can quickly set up their custom donation page and a personalized message that is sent by email or text message. Friends and family simply click on a link and make an online donation. Your 5Kevents Consultant will help set up the system for you and make it very easy to boost your fundraising efforts to the next level. Our system allows for customization, sends the requests, handles the online payments, issues receipts to the donors, and tracks each participant’s progress towards their fundraising goal. There is a 15% service fee for online donations made through the online donation platform, but the system has a feature that allows donors to cover the service fee so that the full donation goes to the organization. What does the 15% service fee cover? What do the t-shirts look like? Can we add our school/club/organization logo? Sponsor logo? The t-shirts change annually and are available in both kids and adult sizes up to 3XL. The front has the event logo on it, and the back side is left blank. We can send you a picture of the t-shirts upon request. Any particular design you’d like to add would need to be done locally, which will add some lead time and extra planning. You will need to place your order a little earlier than the recommended lead time. We recommend that you contact your local printer as soon as possible to find out how much additional time is needed, so we can adjust your order date if necessary. We can also ship directly to the printer. When do we order supplies and how is our final bill calculated? We call it an event summary. Typically there is no actual invoice because we are sending you money. We will keep a running total of all your event expenses and sales throughout the process. A final summary of all registrations, donations, sponsorships, etc will be provided showing the profit you made on your event as it relates to online sales. We do not account for any sales or expenses you incur outside of our online platform. A profit check will be sent to you within 7 days after your event. Supplies are shipped via UPS and arrive before the event date. Can I accept registrations after we place our final order for supplies? Definitely! You’ll want to estimate how many registrants you will get in the week before your event and add this to your final order so you will have enough supplies for the event day. Those who want to participate but cannot make the deadline will let you know so your estimate should be very close to the actual number of final participants. You will not be invoiced for those participants who did not make it on to your order forms. We encourage you to order extra medals to make sure everyone receives one. Unused medals can be returned for a full credit. Complete our Discovery Form. The discovery form verifies that you have determined an event date, a location, permissions and the necessary approvals from your organization, municipality, park, and rec, etc. Once everything is in place we will send you a deposit request. From there you can begin focusing on planning and promotion. We’ll help you every step of the way after that! When will we receive the money from the event? Any money from paper registration, sponsorships, and the fundraising program go directly to you throughout the process. Funds from the 5Kevents Online Registration, Sponsorship, and Online Pledge System are sent to you approximately 7 to 14 business days after your event date. An event summary will be emailed to you for your review before we issue a check. Why do we require a W9 on file for your account? A W9 from your organization is required for tax purposes. It must be received before your event is complete so we can send your final payout check. What if I don’t want to use the Online Pledge System? The Online Pledge System has been proven to raise more funds than traditional mailers. However, we understand some organizations prefer to opt out of the pledge program completely. We are OK with that. What are the costs of the event? We will provide you with an event calculator/budget for your event. Keep in mind you are in complete control of your budget and you are free to spend as you wish. Remember, this is your event. Our event calculator is designed to keep you within budget and profitable. Because we charge a flat rate per participant (varies with each event model) it’s practically impossible to lose money on an event. This includes the event packet that contains the event t-shirt, medal, and race bibs. We also provide award pins to recognize your top 3 male and female overall and divisional winners in 10 year age groups. (5 yr age groups also available). You are responsible for shipping costs which will be a separate line item on your event summary. You are also responsible for events costs outside of our event packets. These may include but not limited to permitting, police, porta-potties, insurance, food, and water, etc. Any funds raised through the direct mail program and sponsorships, etc. all go directly to your organization. Additional fees apply for the Online Registration System, Sponsorship items such as banners and swag and the Online Pledge System. Do we charge a tax on our registration fee? The only states we are aware of at this time that should charge sales tax are Wisconsin and Washington. It does not matter if you are a for-profit or non-profit organization in regards to the event tax. The participant is getting something in return for their entry fee and the states are going to want their portion. If you understand otherwise, please let us know and we will update this page. Allow me to reemphasize that nothing in this answer is to be construed in any way as professional advice, either legal, financial, or any other, nor intended in any way to substitute for such advice. We would strongly encourage you to make an effort to obtain such professional advice before undertaking any fund-raising activity. A 30-minute consultation with an attorney wouldn’t cost very much and could save you a lot of grief later. Regardless of whether you get money from working at a job, selling a product or service, or collecting it from your friends and neighbors, the IRS considers that you are obligated to pay taxes on it because it is income to you. You’re going to have to declare it as income somewhere. And if you don’t think you should have to pay taxes on it, because, for instance, you’ve collected that money to do good deeds with it, then the IRS expects you to explain to them exactly why you shouldn’t have to pay taxes, how much money you’re talking about, how you got it, under certain circumstances from whom, and exactly what you did do with it, how, when and where. Again, I’d urge you to consult with an attorney or accountant for more specific professional advice. 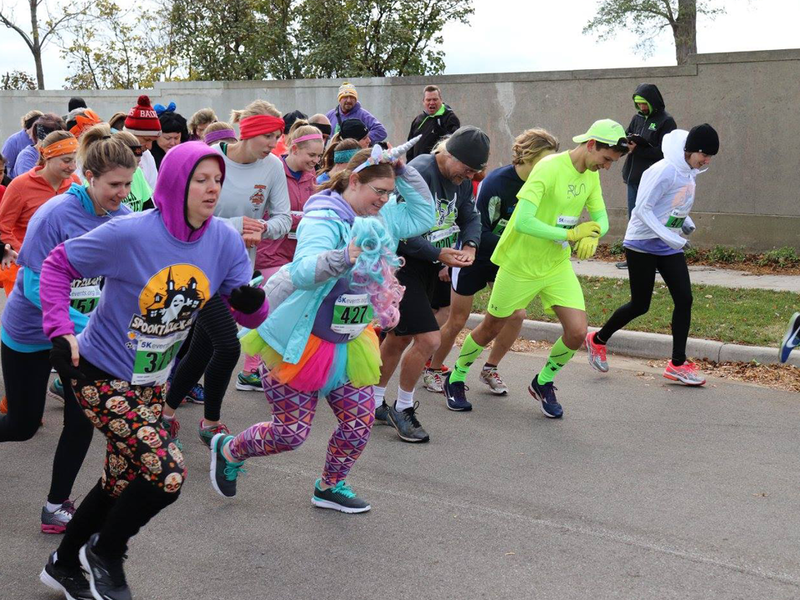 Whether you’re planning a Turkey Trot, a Superhero Run, or a Veteran’s 5K, unique factors come into play when planning a themed race. There are also numerous race-planning basics that apply to any event, regardless of the time of year or trending theme. And we’re here to help; from event discovery and marketing, to registration and timing technology, to post-race media and results sharing, 5Kevents.org provides the tools you need to produce an exceptional event. Plus, we’ve compiled valuable advice to help you understand the critical aspects of race planning; including how to secure sponsor partnerships, navigate the permitting process, recruit and manage volunteers, and much, much more. For starters, 5Kevents provides it’s clients an “Event Planning Dashboard”. This allows you to monitor your event progress and goals and is included with our free online registration software. It includes an event planning guide and event planning tutorial to help you through your process. What we provide (Themed Events Only) – For all other events see our list of ala cart services. Our system is designed to substantially reduce your overhead by buying supplies in bulk, and then passing those savings on to you. The 3 largest expenses for a race are T-Shirts, Medals, and Timing Services. With a typical 300 person race, an event director will generally save thousands of dollars in event costs and you’ll have peace of mind knowing you have a partner you can count on every step of the way. When you sign up with us, you’ll be assigned a dedicated point person who will work with you every step of the way to produce the perfect fundraiser, leveraging the knowledge we’ve gained from helping hundreds of charities all over the country. Whether your vision is a blockbuster event or a small community affair, this is your event. You are free to charge any amount for registration fees and run your sponsorships and promote your event as you see fit, and we are here to help. We charge a flat rate per participant. Starting with a checklist that helps you confirm things like your date, location, and permissions, we’ll make sure that all your “i’s” are dotted and your “t’s” crossed. Once we have that, you’ll sign the agreement and pay the deposit and we’ll get started building your event web site, online registration platform, sponsorship and pledge platforms, volunteer platforms, we even create a course map for your event. Once this is completed our advisors will hold your hand along the way where you’ll learn about all the logistical details as well as how to start promoting your event. After an initial discovery process,we’ll customize the paperwork to your specific event, to help you with things like creating a budget, getting the proper permissions, writing press releases, and posting flyers. For your event day, you’ll find route schematic posted online, Live tracking available via our event app (Athlete Buddy System), race medals, and a materials checklist with recommendations. Two weeks prior to your event, you will notify us of your total number of participants and we will ship your event day supplies. These include supplies for the run such as race bibs, safety pins, finisher medals, overall and division medals for your top 3 male and females, tee shirts, etc. Once you complete our discovery form, we will give you a call to discuss your needs and goals. If all goes well, we will send you an invoice for the deposit, which will be credited towards your final bill. We will be investing a lot of time and resources to get your event up and running, and this helps us ensure that our resources are being used efficiently. The deposit is $250. Your final cost is based on the number of participants. Remember, our program is designed to be run remotely so we will not be making an appearance at your event at any time. We provide support via phone, email, and text throughout the entire process. All materials arrive via UPS and USPS. Complete our “Discovery Form.” The Discovery Form verifies certain information such as an event date, a location, permissions and the necessary approvals from the community where you will host the event. Having these in place beforehand allows you to begin focusing on the planning, promotion from day one. We’ll help you every step of the way after that! OPTIONAL Timing Tablet is available for rent for small races (100 or less participants): This requires use of our online registration platform and a refundable $250 security deposit. Rental Fee is $200. You will need a dedicated team of four people for timing. One assistant for the head timer and two people to collect race bib stubs. Your head timer should practice on the software well in advance of the run. For races larger than 100 we advise outsourcing the timing services. Contact us for references or pricing. Some event packages may be modified upon request. Examples would be switching from short sleeve tees to long sleeve, upgrading to hoodies or dry fit material, etc. Additional fees apply for the Online Registration System, sponsorship packages and the Online Pledge System and is paid by the participant or sponsor.